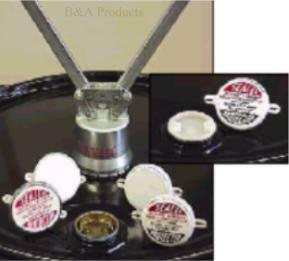 Durable capseals crimp over drum plugs and provide security for your finished product or stored raw materials. Once crimped in place, they must be destroyed to be removed. Built-in gasket provides extra sealing power to prevent leaks. Requires sealing tool, order separately. 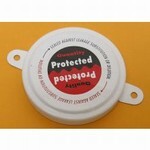 Choice of plain white color or attention-getting "Sealed-Protected" decoration.